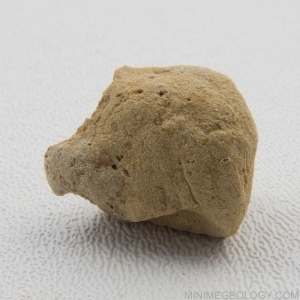 Loess is a fragile, tan, pink to gray sedimentary rock formed from windblown sediments. Loess forms mostly from small, quartz grains. Loess is easily reduced to a powder under moderate pressure.